Irfanview is free and very capable. I use it every day. 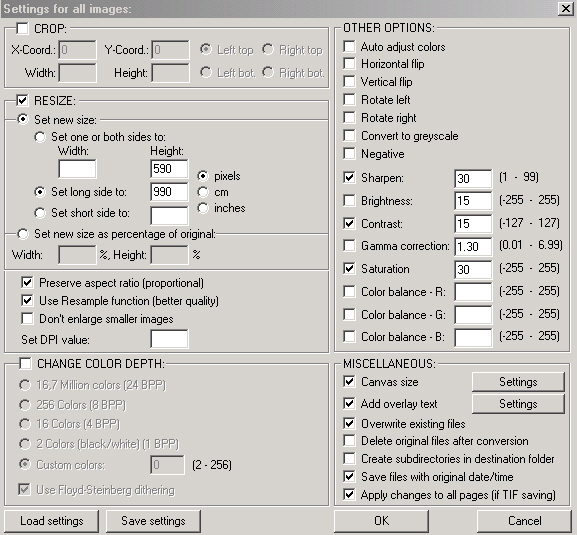 It can batch the cropping, resizing, image modifications, renaming and much more. I convert pictures to 16:9 for web use. I used to do it in camera until I figured out how to do it in Irfanview. Here's my usual setting. The picture width ends up being 1000 pixels. I think that fits most screens. If I produce a set for HDTV viewing i make them 1920x1080 instead. I bump up contrast etc as I leave my camera set to pretty neutral.